Windows 10 has released for a long time and more and more people have updated their computer to Windows 10. When enjoying the new features, you may find a hole that is the Windows Media Center will no longer be supported on Windows 10 and Window Media Player still has strict format limit. This means that if you have WMC installed, WMC will stop working to play your DVD and your WMP can’t solve the problem at all. In this case, we need a powerful video player for Windows 10. So here, we gathered top 10 and an all-in-one video player for Windows 10 for your picking. Hope that you can find your ideal one video player for Windows 10. 5KPlayer is a powerful free video player for Windows 10 with elegant user interface and straightforward layout. Itcan play all video files including popular video file formats like MP4, H.264, AVI, WMV, ASF, FLV, M4V, WEBM, MPEG1/2, RM/RMVB and also 1080p HD videos like MKV, HEVC, AVC, MOD, M2TS, AVCHD, MPEG-TS, TP, EVO, etc. 5KPlayer also enables users to play videos on Windows 10 with perfect audio effect thanks to its high quality audio system. KMPlayer is another lightweight free video player for Windows 10. 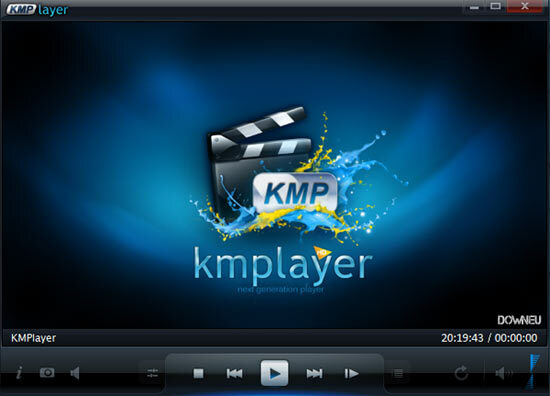 KMPlayer allows users to play video files such as AVI, WMV, FLV, MKV, etc without any separate codec. Apart from various video formats, KMPlayer also supports a host of languages, including English, German, French, Spanish, etc. It is 100% free and clean. GOM Player is an all-purpose video player for Windows 10, Window 8.1, Windows 8, Windows 7 that plays almost any video?including SD/HD MP4， MKV, AVI, WMV, 3GP, etc with ease. ?With its user-friendly interface, advanced functionality, and free price tag, it’s the only media player you need. 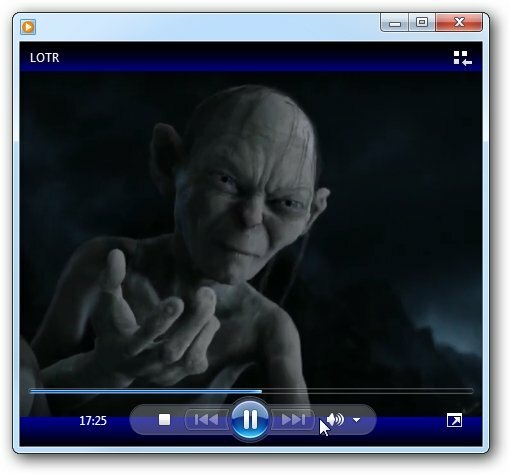 As an open source media player for Windows 10, VLC is a highly portable multimedia player for Windows 10 that plays various audio and video formats such as MPEG-2, MPEG-4, H.264, MKV, WebM, WMV, MP3…. with no codec packs needed. It even can play DVDs, Audio CDs, VCDs, and various streaming protocols. RealPlayer media player for Windows 10 can play your videos offline and organize your collectionis. It is compatible with numerous container file formats inclusing MP3, MP4, MOV, WMV, RMVB, RA formats. MPC-HC is an extremely light-weight, open source media player for Windows?10. It supports nearly all common video and audio file formats available for playback. It is?100%?spyware free, there are no advertisements or toolbars. Potplayer is another fine video player for Windows 10. It can get the best out of what you have with the minumum resource using DXVA, CUDA, QuickSync. It even can output 3D effect and supports 3D glasses. So you can use it to play your 3D SBS, TB and Anaglyph video. 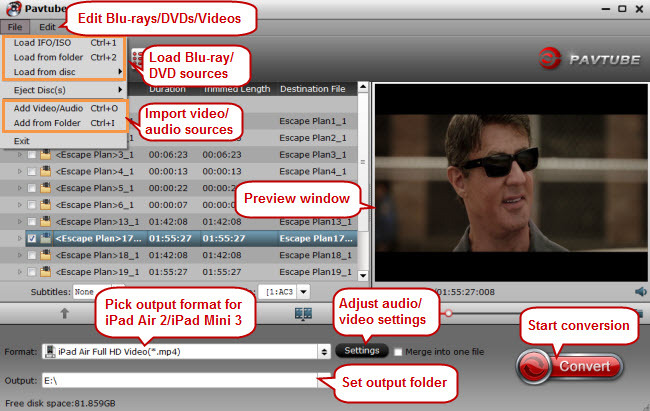 Read Also: How to Stream Blu-ray in DivX Player? If you are searching for a decent video player for Windows 10, DivX Player is the first of its kind. This award-winning software supports a wide range of video codec and format, even offering free HEVC playback, including Ultra HD (4K). It?is also optimized for movies, TV shows and web video clips in the Internet’s most popular formats. No matter what video player for Windows 10 you have chosen, you may meet some unexpected problem in that no video player can play all the formats and codec without any hassle, especially HEVC, 4K, Blu-ray, DVD, ISO images. Pavtube Video Converter Ultimate <review> will be a decent video player assistant for Windows 10 that has the ability of Video Converter + Audio Converter + Blu-ray Ripper + DVD Ripper for Windows 10, Windows 8.1, Windows 8 and Windows 7.It can transcode H.265 MKV/MP4, HEVC, 4K Video, H.264, MPEG, TS, MTS, AVI, WMV, even Blu-ray and DVD without considering about the region codes to normal SD/HD MP4, MKV,WMV, etc. In this case, your whatever video player can play virtually any video on Windows 10.